The issue of fairness and throughput trade-off in universal mobile telecommunications system network planning based on wideband code division multiple access is discussed in this paper. The employed radio resource management (RRM) fully supports rate adaptation and hence, new potentials arise in terms of system throughput and fairness. The authors study four low complexity RRM algorithms that perform efficient rate adaptation in order to resolve typical operational bottlenecks that occur in a network environment (overloading, connection failure, etc.). Furthermore, a new hybrid approach that builds upon the aforementioned strategies is introduced. The results presented in the paper show that this technique enables the control of network performance towards throughput and fairness, according to the operational requirements in cellular and/or network level. 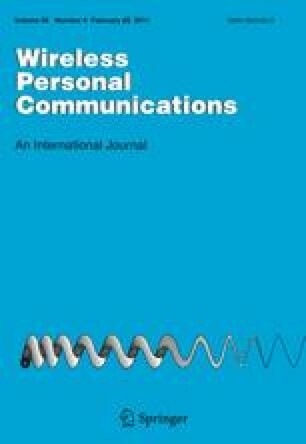 Finally, random beamforming options are explored in the same context, and the respective results show that this technique penalizes users with good channel quality, thus providing higher system fairness. Ahmed, M. H., & Yanikomeroglu, H. (2006). A novel scheme for aggregate throughput maximization with fairness constraints in cellular networks. IEEE VTCF’06, 1–5. doi: 10.1109/PIMRC.2007.4394753. Athanasiadou, G. E. (2007). Incorporating the Fresnel zone theory in ray tracing propagation modelling of fixed wireless access channels. IEEE PIMRC’07, 1–5. doi: 10.1109/VTCF.2006.223.